Any data or instructions natural into memory of a computer is considered as storage. Storage: storage or memory is a technology consisting of computer components and recording media used to retain digital data. It is a core function and fundamental component of computers. A disk’s content that is recorded at the time of manufacture and that cannot be changed or erased by the user is read only because that data stored in ROM and can only be modified slowly, with difficulty, or not at all, it is mainly used to store firmware (software that is closely tied to specific hardware and unlikely to need frequent updates) or application software in plug-in cartridges. Strictly, read-only memory refers to memory that is hard-wired, such as diode matrix and the later mask ROM (MROM) which cannot be changed after manufacture. Hard disc drives are considered as a Non-volatile memory. It’s typically used for the task of secondary storage, or long-term persistent storage. The most widely used form of primary storage today is a volatile form of random access memory (RAM), meaning that when the computer is shut down, anything contained in RAM is lost. However, most forms of non-volatile memory have limitations that make them unsuitable for use as primary storage. Typically, non-volatile memory costs more, provides lower performance, or has worse write endurance than volatile random access memory. Compact disc (CD) is a polycarbonate with one or more metal layers capable of storing digital information. 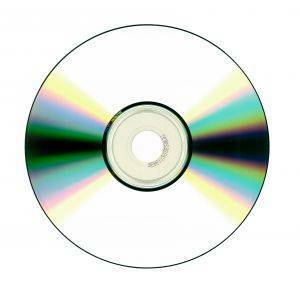 The most prevalent types of compact discs are those used by the music industry to store digital recordings and CD-ROMs used to store computer data. Both of these types of compact disc are read-only, which means that once the data has been recorded onto them, they can only be read, or played. Data gathering in computer means, they allow to use ……………. data. Computers gather data which means that they allow users to use input data. Input data is a computer file that contains data that serves as input to a device or program.